New Pattern. YES. New Pattern! I’m not sure which I should cheer about first…but they’re all equally exciting. I’m releasing a new pattern today! I love making this Top. I hope you love making it too! 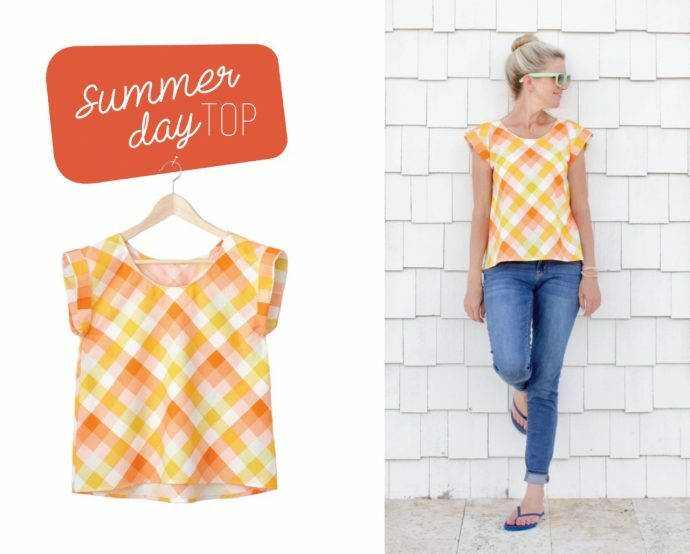 Introducing THE SUMMER DAY TOP! 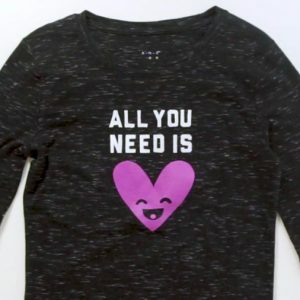 This is a loose-fitted top, in 2 basic styles, with 3 sleeve options, and a pocket…with an adult size range from 0-20 (32″-52″ bust). The Summer Day Top is size 0 to 20, which covers a bust range of 32-52 inches (81-132 cm) You can see all the sizing info in the pattern listing photos here. 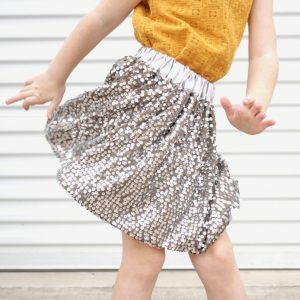 The pattern also includes detailed instructions for adding a bust adjustment to your pattern if needed, along with other ideas for adjusting the pattern. We hope you enjoy it! 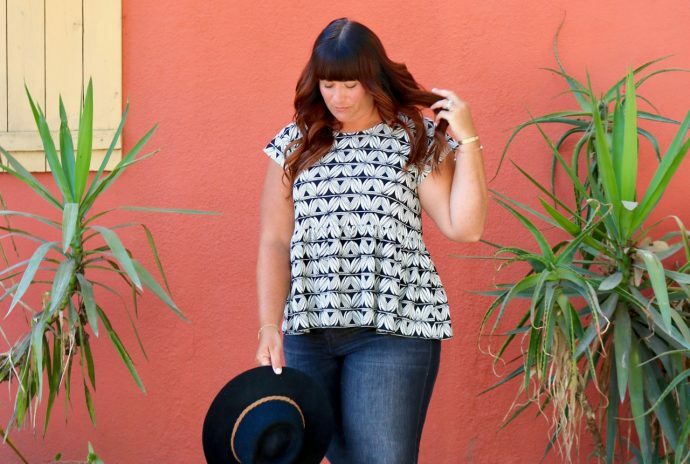 Of course I can never decide which version is my favorite—peplum or A-line? I guess that’s why I’ve made them all….and my friends have too. This is Susan (who works with me and helped put this pattern together!). Isn’t she adorable?? She’s wearing the peplum with cap sleeves, and ah-mazing space buns. Ahhh. I recently learned that term and it’s so perfect! And here’s my darling cousin Kam in the peplum with short sleeves. She just makes me smile. And I want to jump into this photo. 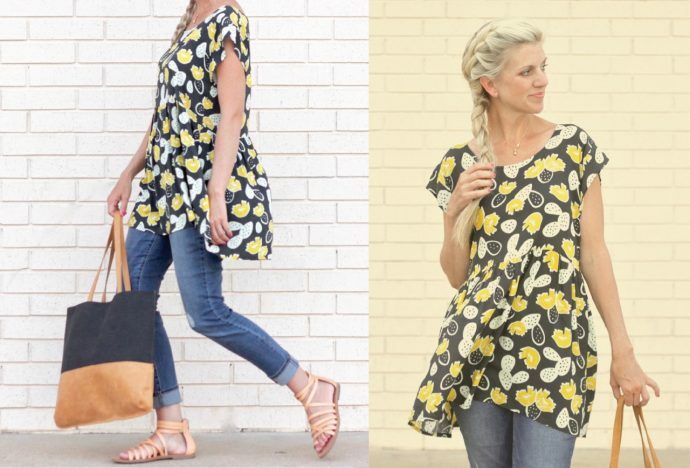 Then I made a tunic length peplum for myself (using my Day Trip rayon by Art Gallery Fabrics) and it’s my favorite. Okay. I said I wasn’t going to play favorites. But I think I need five more of these. It’s casual or dressy. And so breezy. I love it. Another thing I love is the different looks you can get with different fabrics. • BOXY: For a fun structured top, use a crisp lightweight woven, such as chambray, quilting cotton, lawn, voile, or double gauze. • FLOWY: For a breezy chic look, use a lightweight woven with good drape, such as rayon challis, crepe, charmeuse, or silky polyester. • RELAXED: For a great slouchy t-shirt, use a knit, such a jersey, double-brushed poly, french terry, or sweater knit. With every version from my testers and friends, I fall in love all over again. But now comes the BEST PART. I can’t wait to see what you make! • This is a PDF pattern. • The pattern offers info in both Imperial and metric systems. • The pages are beautifully illustrated, with detailed instructions so you feel like we’re sitting there next to you, sewing along. 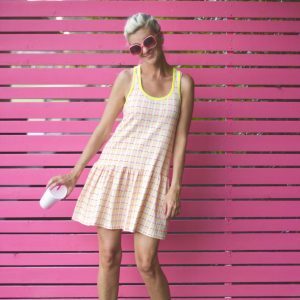 • A Large Format/Copy Shop file is included, if you’d like to print the pattern pieces in large format! 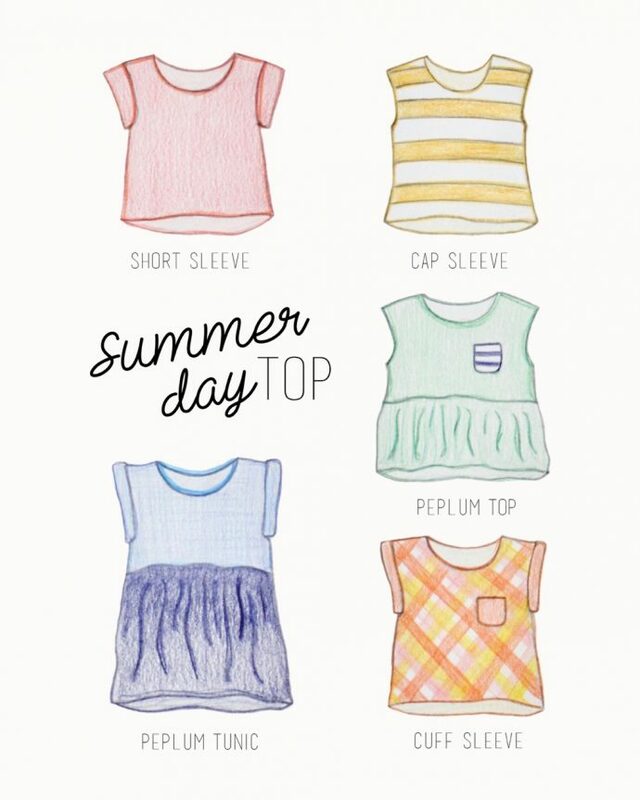 And for an extra dose of Summer, check out the Summer Day Top Headquarters Page. That’s where you’ll find extra resources and more inspirational pics. You may even see your pic there! Another Fun. Cute. Stylish. Modern. Totally cool. pattern from Made! I can’t wait to sew some for myself! Love all the options. 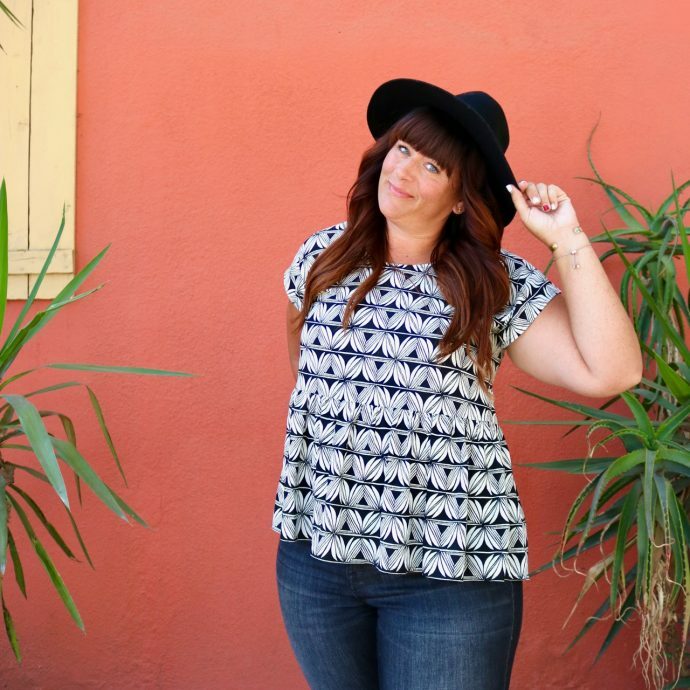 Thanks, Dana, for your continued awesomeness and motivation and creativity to the world of sewing! A great day to celebrate you by buying (and sewing!) your pattern! Thank you so much, Penny! ???? Love the pattern. So cute. I’m wondering….what body shape do you draft for? 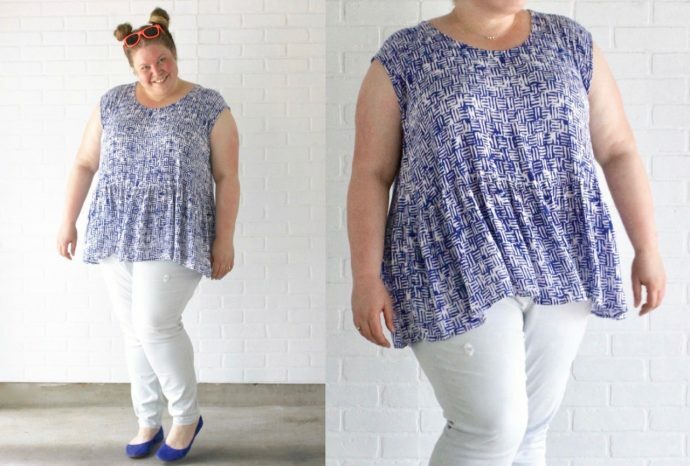 There are some really great patterns out there that I can’t use because they won’t fit my body shape. And unfortunately most pattern shops don’t tell what body shape they draft for so I won’t buy the pattern because I never know if it will work on my body shape or not. That’s why I buy a pattern in all the sizes available, so I can mix and match. When Joann’s has sales, they’ll be anywhere from .99 up to 1.99. 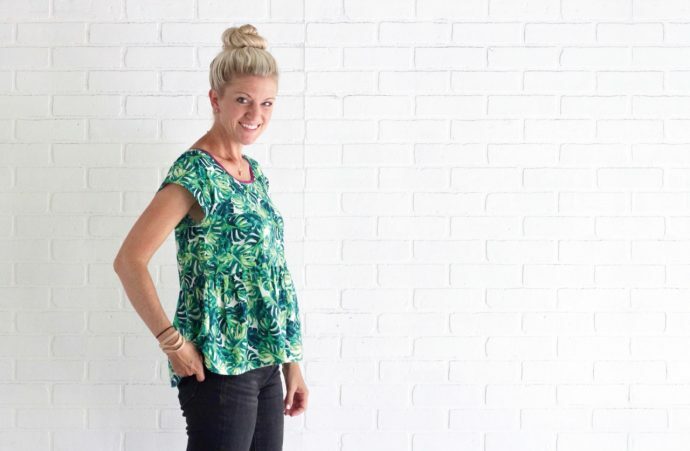 Hi Kristie – I don’t draft for a specific shape; I draft for specific (average) measurements. You can see the measurements in my size chart in the listing. (I also assume an average height of 5’6″.) 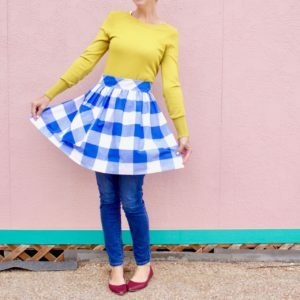 The pattern does include guidance on how to adjust bust proportions and lengths, as well as how to blend between different bust and hip sizes. And we had a wide variety of different “shapes” in our tester pool. Hope that helps! This pattern is so fun! It feels so freeing and fashionable at the same time. It’s nice to feel super cute when it’s over 100 degrees outside. I love this pattern! 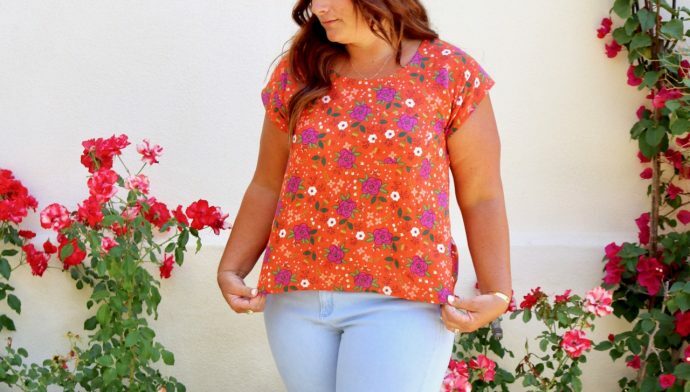 I don’t usually wear short sleeves because of scars, but this shirt pattern I would wear a lot to school 🙂 Thank you so much for your tips, tricks, and amazing patterns and tutorials ;)!! Thanks Julia, and you’re quite welcome! I hope you love it. ???? The blue fabric Susan used is AWESOME. I want THAT top! What/where on the fabric?!? Hi Trina, it was from Fabric.com, but it was a while ago and I don’t see it there anymore! But they do have some rayon crepes there still… ???? 1) Penny, thanks! And thanks for sharing your great posts every week! Thank you so much, Bernadette! I agree, I am amazed by my friends and testers’ talent all the time. And their fabric choices give me so many ideas! Trust me, even as a beginner, you CAN do this one. ???? Hi Dana! This is only the second top I have ever attempted to sew. While getting the pattern printed, etc you mention on it the 3/8″ (1 cm) seam allowance but I wasn’t clear on whether it is included in the pattern or that I need to cut adding that allowance? My apologies if I missed the answer somewhere…Thanks! You don’t need to add any seam allowances! Those are all included for you. 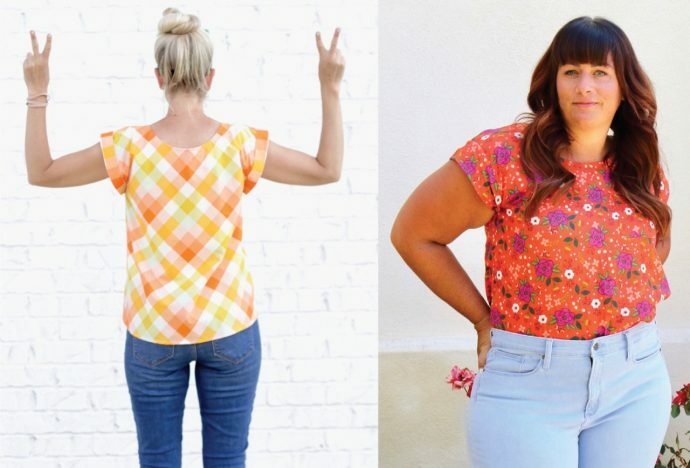 Just cut out the pattern pieces in your size as you see them. Sewing a Beach Coverup, for ME!